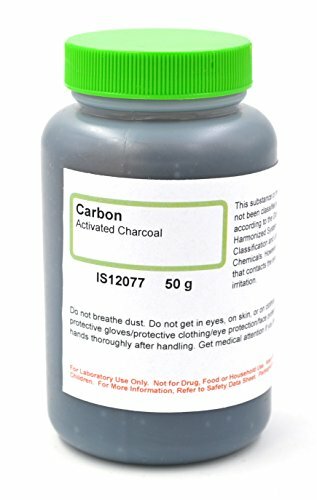 Innovating Science’s carbon-activated charcoal comes in a 50g bottle. Often used for carbohydrate chromatography, this makes the chemical a perfect fit in any educational lab dealing with chemistry or organic chemistry. Each bottle has safe handling and storage procedures printed directly on the bottle. This is a high quality chemical product manufactured in the United States. For Laboratory Use Only. Not for drug, food or household use. Keep out of reach of children. For more information, refer to the Safety Data Sheet.